a) If guaranteed results (as per agreed contract) are not achieved within the initial period, the client has option to request a refund on fees paid (excluding the setup fees) AFTER this initial period has been reached. a) Setup fees are non refundable. Setup fees are charged to cover the cost involved with initial website analysis, devising an effective SEO strategy, providing expert advice, onsite and offsite optimization (such as directory submissions), article writing etc. 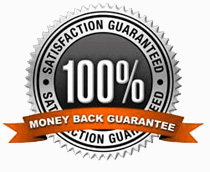 Please rest assured that we would do everything in good faith to retain your recurring business.